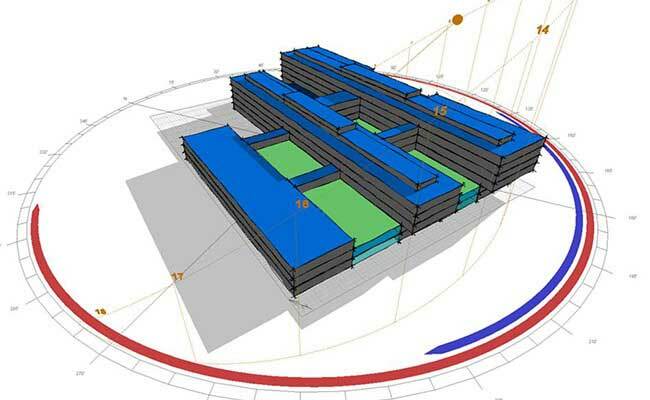 Thermal modelling using IES Virtual Environment software utilises the sophisticated ‘Apache Simulation’ thermal modelling engine to accurately model a building’s behaviour. Thermal modelling involves taking designs and building specifications, representing them in a 3 dimensional model and running a year-long simulation to provide detailed results. The thermal model is a bespoke model for a particular building with a specific location and orientation. Once the thermal model has been constructed, it can be used to influence the building’s design specifications. Changes can be made to U-Values and to building services specifications to assess the effect those changes may have on controlling internal temperatures.